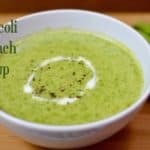 Broccoli Spinach Soup |Healthy & Nutritious Soup is a Ultra creamy homemade broccoli ,spinach and cheese soup.It's the ideal comfort food for all year long. Heat Butter in a saucepan over medium-high heat,once butter melts add garlic and saute for 30 secs. 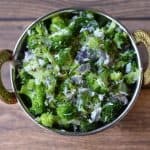 Add broccoli,saute for 2 minutes and then add water cook,covered till broccoli florets are tender,around 2-3 minutes. Add Spinach,cheese,milk,salt and pepper to taste,stir well and bring it to boil.At this stage turn off the gas flame. Puree soup using a hand blender until smooth.If you don’t have a hand blender ,puree in a blender in batches once slightly cooled. If you think soup is too thin ,you can add cornflour-water mixture into soup and boil for 2 minutes,this gives thick consistency.I like soup thin so did not add it. Broccoli Spinach soup is ready to serve. 1. 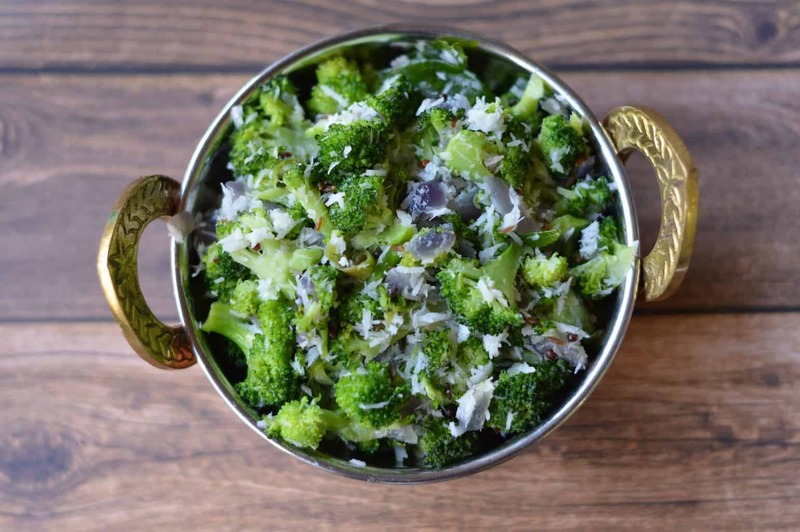 Variation : You can also add potatoes when you cook broccoli ,this gives creamy texture.